Stephen Cotta is a military veteran and cannabis entrepreneur who just won’t quit. He’s been trying to start a marijuana testing lab in since 2012, but wary investors and a slow-moving licensing system are confounding his efforts. Cannabis labs test for mold, pesticides or other unwanted substances in batches of marijuana, and certify results for growers and processors. The facilities are extremely cash-intensive to create because the necessary equipment can coat hundreds of thousands of dollars. Cotta began his efforts to create a cannabis testing facility in in 2012 in Michigan, but the laws in that state made him feel like his business was “an asset forfeiture waiting to happen,” he said. He moved to Colorado because cannabis testing is mandatory for it to be sold through legal dispensaries, but Cotta couldn’t find investment there. After a move to Arizona where he did small batch cannabis testing for two years, he eventually ended up in California. 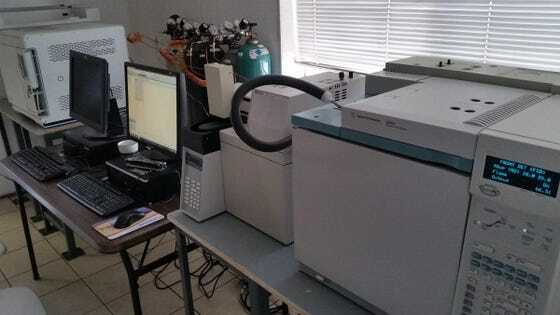 Cotta has purchased some testing equipment, but estimates he’ll need an additional $700K to set up his lab and office, and be fully compliant with all of California’s rules. In the meantime, he has applied for a license and has a site ready to ramp up outside of Salinas. Cotta chose that area because it’s the location of a large number of cannabis farms and there is a definite for a need for a local lab. “Businesses want test results in 24 hours, not 5-6 days, so having a lab nearby is critical,” he said. A recent report from the state of California’ Bureau of Cannabis Control showed about 10% of batches of marijuana failed to meet requirements. “Investors are just starting to come around,” Cotta said. They recognize that testing facilities, especially when testing is mandated for a multi-billion dollar industry, are a critical part of the cannabis ecosystem. He has fielded interest recently from Chinese and Canadian investment entities. As it rolls out its rules and regulations, the state government wants to shift sales from the illegal cannabis market to the legal one, and has a financial incentive to do so. The California Department of Tax and Fee Administration reported cannabis tax revenues totaling $103.3 million for the 4th quarter of 2018. This includes state cultivation, excise, and sales taxes, but not tax revenue collected by each jurisdiction. As the industry expands and firms like Cotta’s get up and running, tax revenues will grow. It may take six months to get a license though, and Cotta is living on a small military pension. “It’s hard to keep employees when you don’t know when you’ll actually be fully operational,” he said. While Cotta awaits the commercial license, he is not even allowed to do small batch testing for cannabis companies doing research and development. “Grit is what is necessary to succeed in this industry,” he said.